The Maine Long-Term Care Ombudsman Program is a non-profit agency whose mission is to advocate for quality of life and care for long-term care consumers. Our services are free and confidential. Federal law and Maine law authorize our staff to investigate complaints made by or on behalf of long-term care consumers and to assist consumers in exercising their rights that are guaranteed by law. Our program serves residents of nursing homes, assisted housing programs including residential care and assisted living, consumers receiving home care services including homemaker, adult day and hospice. We also serve patients in hospitals facing barriers in accessing long-term care services. Our staff is knowledgeable about long-term care services. We can answer questions about services, including where to find services, how services are paid for, what to do if services are denied, terminated or reduced, and how to proceed when problems arise. 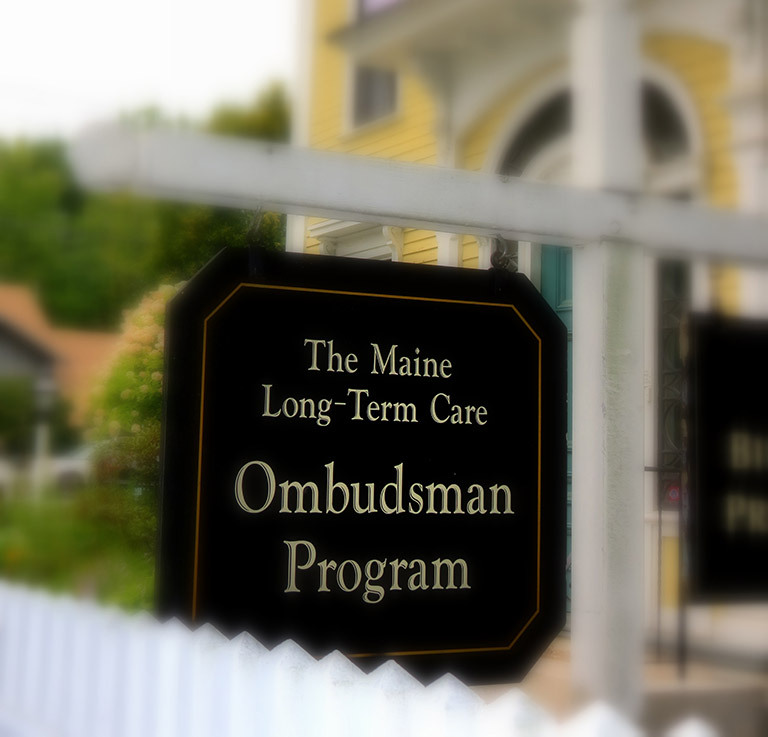 The Maine Long-Term Care Ombudsman Program provides advocacy services while maintaining strict confidence. This means that anyone reporting concerns about long-term care services can be assured that all communication with our staff and volunteers will not be disclosed without consent. In addition, when we are contacted with a request for assistance, we will not take action to investigate or resolve a complaint without obtaining consent first. In providing advocacy services we work to support the wishes of the consumer. The Maine Long-Term Care Ombudsman Program is here to help with information, guidance and advocacy. Our services are free and confidential. For more information or assistance contact us at (800) 499-0229 or (207) 621-1079. Copyright © 2019 Ombudsman Program. Design and hosting provided by PHD Consulting, a Maine company.